This year there would not be any major problems for you and the year would be smooth. You will take all the decisions weighing pros and cons carefully. Matters related to finances, especially joint accounts should be taken care of judiciously. Matters related to inheritance may become complicated. Loss of a dear one, in the family or friend circle is likely. 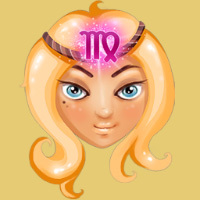 Virgo people may be drawn to speculative activities like stock market and gambling this year. You should play it safe with your money. It is a good time to hone your creative talents and commercialize them. This year, Virgo people may devote a lot of time to make the home atmosphere happy. Domestic issues will go according to the plan. However unexpected guests may pop in and might over stay which might be a cause of friction between you and them. Handling children could prove to be a tricky affair. You will have to exercise extreme patience while dealing with them. This year is auspicious for those who are planning to start a family, that is, having a first child. If you are planning to invest in a new house or office, keep it in the second part of the year. This year, you may be resolute about your decisions regarding your love life. However, everything requires patience, especially the matters of the heart. This year, your love life is going to be very intense. You and your partner's needs and expectations may be more than usual, and you shall have to find some way to satisfy them. Virgo people should also try not to put undue mental pressure on the people whom they love the most. August to December is a very favorable phase to start a long term relationship and it is very much possible that this relationship may culminate into marriage. During the whole year Virgo people will have to be very careful about injuries to their hands or upper parts of the body. Apart from this, the year 2013 is likely to a fairly good year concerning your health. No major health issues or accidents are foreseen. Around middle of the year, Virgo people may experience some pain in the joints or suffer from a gastric problem. If you are suffering from rheumatism, then be careful between May and September. Yoga or pranayam would also do your health good. This year looks to be very promising for professionals, as they would be offered a very lucrative job offer. You may also get promoted to a level of higher authority. Your rapport with your superiors will be good. You may also get a chance to visit a foreign country. If in business, Virgo people are advised not to rush with their plans and be patient. You need to have right human resources to take your business to the next level. If you are looking for a partner in business, you should be very careful in selecting one, since its very important that you both develop a mutual understanding. Escapism never works and you should try to tackle your problems head on. You should ignore other people's comments on your lifestyle as you have no control over them. Light exercise will be beneficial for your health.